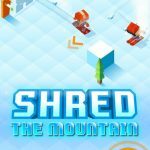 Red Bull has released a new game for Android and iOS devices called Snowboarding: The Fourth Phase, and it’s endorsed by snowboarding superstar Travis Rice, who happens to be co-sponsored by Red Bull itself. The Fourth Phase is the “sequel film” to the Art of Flight and it serves as your chance to impress Rice himself (in-game, that is) as you strive to become a snowboard legend in your own right. There are different environments to snowboard in, including the British Columbian mountains in Canada and Jackson Hole in Wyoming, lots of gear for you to collect, and tons of customization options for your character. Aside from performing neat tricks on your snowboard, collecting gear and performing well will help you earn Rice’s attention. Before anything else, we believe you may be better off learning the basics. 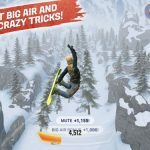 That’s what we’re here to teach you, in this list of Snowboarding: The Fourth Phase tips and tricks. Ah, quests. Where would most gamers (and games) be without them. In Snowboarding The Fourth Phase, completing quests, or missions as they’re called, pays off by helping you unlock more new stuff in the game, particularly when you’re just starting out. When on a run (any run, for that matter), focus on completing quests with unlocking goodies in mind. Once you’re done with that, you can focus on improving your scores. Take note that you’re only allowed one quest at a time when playing in career mode! This is probably one that goes without saying, but in case you’re a first-time player, here’s another tip in relation to the first. Don’t try to overdo it as career mode allows you only one quest at a time. 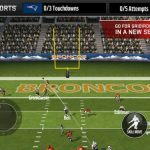 Once you’re ready to start focusing on your high score, bear down on it, because a higher score means more experience points, and consequently more coins for more gear. Your air time is quite important in The Fourth Phase. And while the game doesn’t explain it completely, you can make jumps in such a way that you can improve your air time, thus allowing you to pull off more stunts. Dragging down on the right side of your phone’s screen will have you crouching, then speeding up. And if you swipe upwards after boarding off in the air, you’ll get some bonus air time. Use that air time to rack up more tricks such as grabs and flips. In snowboarding jargon, “stomping” is what you do when you’re able to score a perfect landing from an airborne state. Stomping successfully can give you a significant score bonus, while if you’re not able to stomp properly, your airborne score may end up suffering a bit. Given the importance of precision in stomping, you might want to do this following simpler stunts. It’s lower-risk, lower-reward, but then again, trying a stomp after some difficult stuns often isn’t worth it. This has been a common complaint in the game, but the flipping and spinning mechanic isn’t really what one expects. While you’re airborne, you’ll have the option to pull on your device’s display to start a flip or a spin, and you’ll keep on flipping and spinning until you’re ready to land. That’s all well and good at first, but some claim that by making slower swipes, you can actually score more points than you would by flipping and spinning quickly. 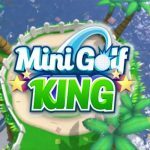 This could be a great way to improve on your current score.